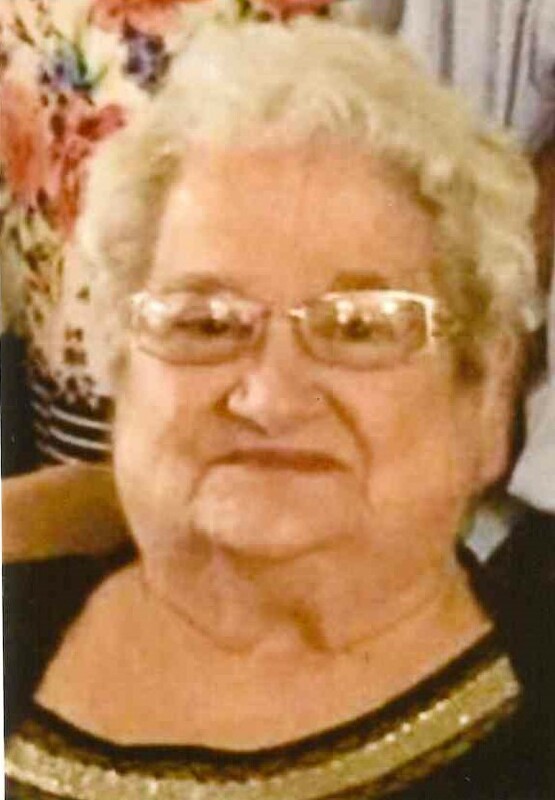 Mary L. Martinelli, 92, of Kenosha was called home to the Lord on Monday, March 18th, 2019, at The Addison of Pleasant Prairie. Mary was born on February 11th, 1927 in Kenosha. She was the daughter of the late Domenick and Catherine (Zarletti) Aulozzi/Ficcadenti. On April 11th, 1953, she married Domenico Martinelli in Kenosha. He preceded her in death on February 8th, 2014. Mary was primarily a homemaker, but she was also employed at Jockey International and the Kenosha Unified lunch program. She was a member of St. Thomas Aquinas and Mt. Carmel Catholic Churches. Mary loved to knit and embroider for her family and friends. She enjoyed “lunching” with her “Girls Club” as well as her “Red Hatter’s”. Mary also loved her home with its beautiful view of Lincoln Park. Mary is survived by her three children, Pasquale “Pat” (Theresa) Martinelli of Kenosha, Angela Burroughs (Louie Wischmann) of Georgia, Domenick (Diane) Martinelli of Kenosha; six grandchildren, Mario (Rachel) Burroughs, Catherine “Katy” (Booker) Scott, Dominic, Vincent “Vinny”, Gina and Angelo Martinelli; a great grandchild, Mario Edward Burroughs; step sister Lydia Fervoy and step brother John Ficcadenti. She was also preceded in death by her parents: Domenick and Catherine (Zarletti) Aulozzi/Ficcadenti, her brother, Richie Aulozzi her step father John Ficcadenti, step brother Louis Ficcadenti, step sisters Mary Ficcadenti, Yolanda Laskis and Virginia (Ficcadenti) Allegretto. The family would like to thank the wonderful staff at The Addison of Pleasant Prairie, Bluestone Physician Services and the Kenosha Achievement Center (KAC) for their care, kindness and compassion. Recognition and immense thanks to special relative Angela Vocino, caregiver Beth Cornwell and nurse Ann Johnson for their friendship and care shown to Mary for numerous years. Last but not least, a special thank you to the many family and friends who visited and called Mary, and the truly unique and special group of ladies at “Mary’s table” at The Addison. Per the family’s wishes, the memorial will be private, and a Celebration of Life will take place at a later date. Much sympathy on the passing of your mom. The world could use more kind-hearted, generous people like Aunt Mary. She was always quick to smile and laugh, too. I remember that Mom used to enjoy their conversations and am sure she will be glad to reunite with her now. We can’t keep them forever, but we know that we can always find them safe and cherished within our hearts. My Mother Oakley sat at Mary’s table. I’ve gotten to know Mary over the last few years, a wonderful lady. I’m thankful for Mary’s support and engagement with my Mom. They talked about the old neighborhood and past friends. Mary brought a smile to many people at the Addison. She will be missed. I first met your mother in 1991 when I moved into the 2nd floor apt. of the house on 19th Ave. Although I moved away, we kept in touch. I went back to visit both your parents while I was still living in Kenosha. My last conversation on the phone with Mary was sometime in late 2018, I think. Both your parents made my life better and I was and am grateful. Your mother had an extraordinary gift for making lemonade out of lemons, for living peacefully and well with others, for accepting differences gracefully, for gratitude (here your cousin Angela stands out, Mary often mentioned her). You, all three of her children, and the successes of your children, her grandchildren, brought your mother much joy — she told me so often. May you have comfort in your loss from the many fine, generous moments of her life there are to be remembered.